A friend and I were walking on her land in southern Wyoming, after this spring had nourished the land with an abundance of rain. Pronghorn antelope had walked through the camp at dawn, then three does, delicate ears swiveling to the morning sound of a golden eagle calling out overhead. The new day called out to us, too – our eyes drunk in the green beauty of aspen grove and stream. We walked on, and I stopped, entranced as always, by the light. 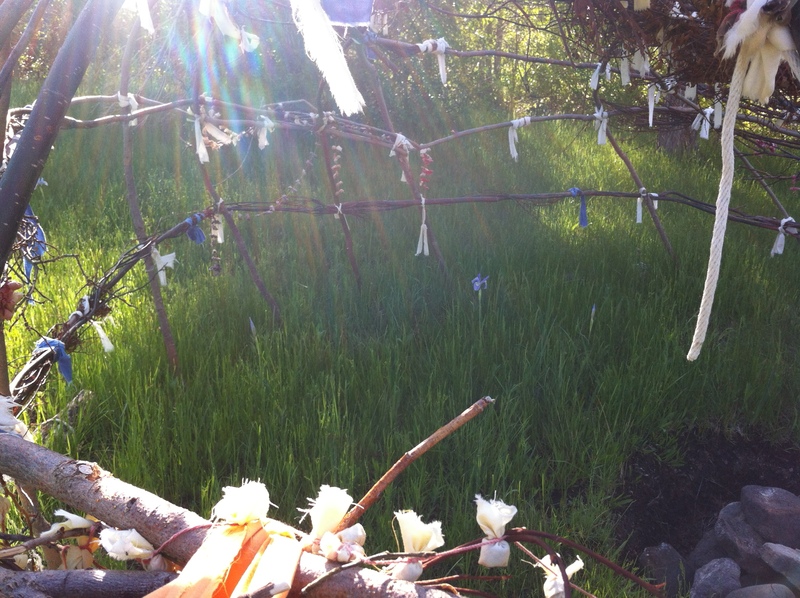 There, within the sweat lodge frame, shone the rainbow sun through all the prayer ties and willow branches. And one wild iris – blue flag in the morning light.